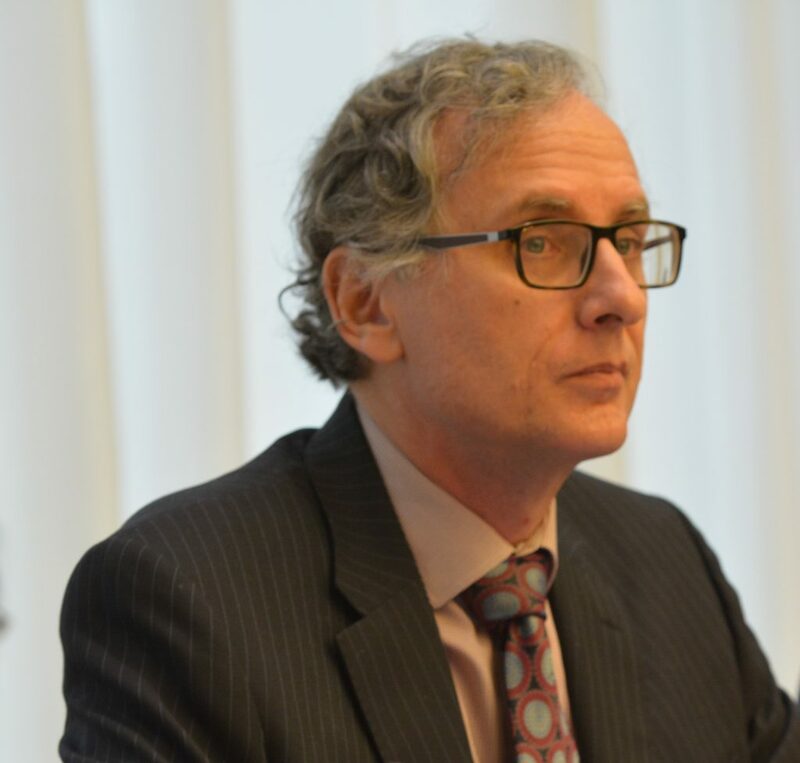 Professor Philip Schlesinger , Deputy Director of CREATe, spoke about new intermediaries and platform regulation at the European University Institute’s executive training seminar on how cultural diplomacy is presently being reshaped in the digital age. The event was held on 28-30 November 2018 in Florence. BOOK LAUNCH, Wednesday 5 December 2018, 6.15pm, Victorian Picture Gallery at Royal Holloway, University of London. 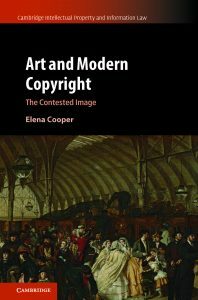 Cambridge University Press have just published Art and Modern Copyright: The Contested Image by Dr Elena Cooper, Leverhulme Early Career Fellow at CREATe. The book is the first in-depth and longitudinal study of the history of copyright protecting the visual arts. Exploring legal developments during an important period in the making of the modern law, the mid-nineteenth to early twentieth centuries, in relation to four themes – the protection of copyright ‘authors’ (painters, photographers and engravers), art collectors, sitters and the public interest. It uncovers a number of long-forgotten narratives of copyright history, including views of copyright that differ from how we think about copyright today. As well as considering the distinct nature of the contribution of copyright to the history of the cultural domain accounted for by scholars of art history and the sociology of art, Art and Modern Copyright examines the value to lawyers and policy-makers today of copyright history as a destabilising influence. In taking us to ways of thinking that differ from our own, history can sharpen the critical lens through which we view copyright debates today. The book will be launched at an event at the Victorian Picture Gallery at Royal Holloway, University of London, at 6.15pm on Wednesday 5 December 2018, where Dr Cooper will draw on the rich collection of nineteenth century paintings in the Gallery to illustrate the central themes of her research. For the first in the Autumn 2018 Public Lecture Series, CREATe welcomed Claudy Op den Kamp to present ‘A History of IP in 50 Objects’. The presentation highlighted the work on the book A History of Intellectual Property in 50 Objects (edited by Claudy Op den Kamp and Dan Hunter), which will be published by Cambridge University Press in 2019. The book presents IP as an approachable topic and demonstrates its importance by focusing on 50 objects—including the Singer Sewing Machine, the Corset, the Barbie Doll, and the Post-It. All of the objects have been included for the larger social stories that they tell, stories that help us understand the unrecognised effect of IP upon historical events and current society. For the second lecture in the Autumn 2018 Series, CREATe joined up with Glasgow Legal Theory (GLT) to welcome Professor Fiona Macmillan. On Wednesday 21 November 2018, Professor Macmillan presented a public lecture on ‘Copyright and Contemporary Culture: Between Market and Community’. This lecture focusses on the sometimes fraught relationship between cultural heritage and copyright, which arises from their common concern with what are often referred to as the creative arts. 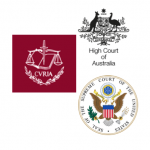 The competing discourses in international legal instruments around copyright and intangible cultural heritage are the most obvious manifestation of this troubled encounter. However, this characterization of the relationship between intellectual and cultural property is in itself problematic, not least because it reflects a fossilized concept of heritage, derived from “the authorized discourse” of international legal instruments. But if, as will be argued, heritage is conceived as part of a dynamic and mutually constitutive process of community formation then this exposes the central tension between it and the concept of copyright. This tension rests on the fact that while cultural heritage is something that “belongs” to a community, intellectual property including copyright is a rivalrous form of private property. The problem is not that the existence of private rights necessarily destroys the link between community and the intangible practice in question. Rather, it is that the cultural heritage system and the intellectual property system have different ways of expressing and controlling value. And it is the way in which intellectual property rights express value, especially in the current period, which is the key to understanding how they sever cultural heritage/property from community. While copyright as a private property right locates all relationships in the context of the market, the context of cultural heritage relationships is the community, of which the market forms a part but does not (or should not) control the whole. Fiona Macmillan is Professor of Law at Birkbeck, University of London, and Visiting Professor of Law at the Universities of Roma Tre and Gothenburg, and at the University of Technology Sydney. 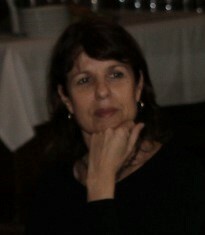 She is the co-Director of the International Society for the History and Theory of Intellectual Property (ISHTIP), www.ishtip.org. The lecture launched CREATe’s work on the new national Creative Industries Policy & Evidence Centre. See also University of Glasgow’s press release. Abstract: The World Trade Organization TRIPS Agreement established multilateral rules on “trade related aspects of intellectual property”, purporting to do away with distortions and impediments to trade, and to establish a benchmark for adequate and effective intellectual property protection. It posits a positive-sum relation between the producers and users of technological knowledge. These rules were drawn up a generation ago in Geneva, exactly where and when the World Wide Web was in the process of being invented. The Web epitomises the technological developments – the digital disruptions – that have revolutionised the ways in which intellectual property is formed, regulated, managed and traded; yet the TRIPS Agreement was concluded at a time when creative content was mostly embedded in physical media, and almost exclusively counted as trade in goods. New business models for the creative industries and new technology platforms for the distribution of content have outpaced regulatory, legislative processes, let alone the capacity of multilateral rules to be adapted and updated to respond to these developments. Recent bilateral and regional deals – negotiated expressly outside the multilateral sphere – have sought to define and promote digital trade. This lecture reviewed the abiding significance of the TRIPS Agreement for trade in creative content against the fundamental shift from trade in physical carrier media to trade in network data packets: is TRIPS somehow ‘wired’ – a timely trade pact that foreshadowed the growth in trade in IP as a valued good in itself; or ‘tired’ – rooted in a bygone set of assumptions about how IP is traded; or indeed ‘expired’, superseded by fundamental technological shifts and subsequent trade deals? The lecture concludes by reflecting more broadly on what the impact of technological disruption can tell us about the essential relationship between the creator and the consumer of creative works, and the limitations of ways of understanding diffusion of creative works that are limited to legal, technical or regulatory frameworks. 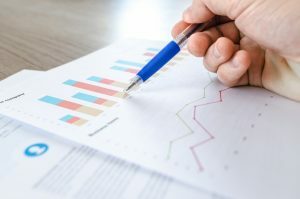 The making available right has been a source of contention in recent times, giving rise to numerous decisions at the EU level that do not appear to be grounded in existing copyright rules or principles. This trend is not exclusive to the EU; courts around the world have struggled to interpret the right with clarity and transparency. Opinions of those both for and against the Directive. We have also created a static timeline graphic detailing all key events of the legislative process of the Directive since the initial draft was issued by the Commission in September 2016, until its anticipated transposition into national law in 2021. 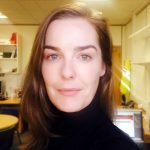 In this post, Amy Thomas (CREATe PhD candidate) analyses what she suspects to be the very first example of a software licensing agreement, and its relationship with copyright law. 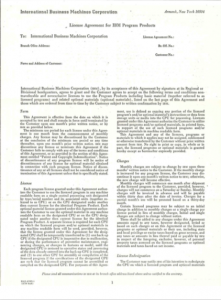 Reprint Courtesy of International Business Machines Corporation, © (1969) International Business Machines Corporation. In my PhD thesis, I am investigating how software licensing agreements (through their terms and conditions) reveal a particular concept of the user that has changed over time. I investigate this as a private ordering mechanism. 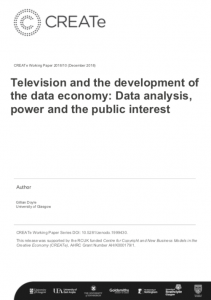 As part of this study, a historical approach is required; to this end, I endeavoured to uncover the very first example of this type of private ordering mechanism in software (and to the extend it was primarily motivated by copyright concerns, as suspected). The investigation was prompted by a memoir written by ex-IBM engineer, W.S. Humphrey (available here) which suggested that IBM may have been the first company to implement a software licensing system. In the memoir, Humphrey recalls being part of the process of “software unbundling” (e.g. the process of separating hardware from software), and was part of a task force established in 1966 to implement this.